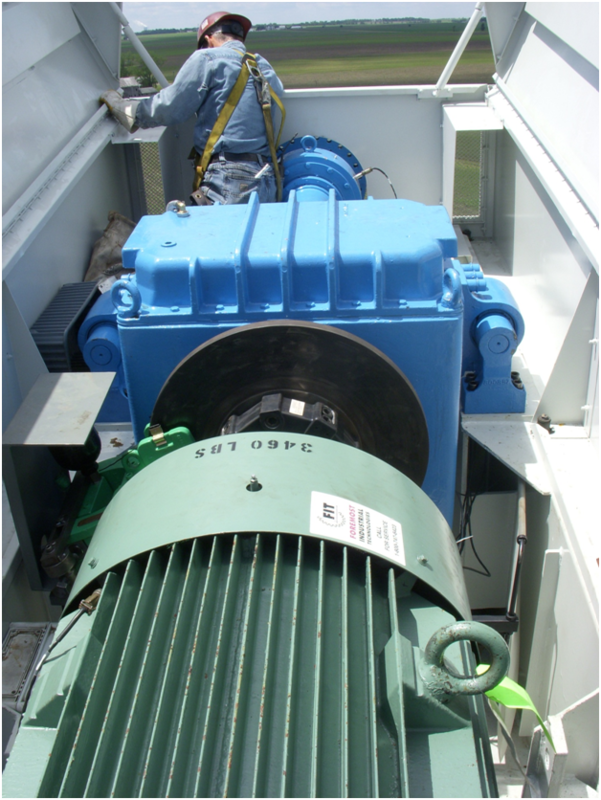 The components are inspected and refurbished, replaced or upgraded which results in an even better wind turbine. The cut away figure above shows the drive train components in a typical wind turbine. There are three major turbine components: tower, nacelle and blades. The towers tend to be in very good shape as they are built to withstand 125 mph winds, so are quite rugged. However, to make them look their best, they are cleaned and repainted by our subcontractor who has a large indoor painting facility and is specializes in painting large outdoor structures like water towers. He will also repaint the fiberglass nacelle to your chosen lettering and colors (FAA rules somewhat limit paint choices). 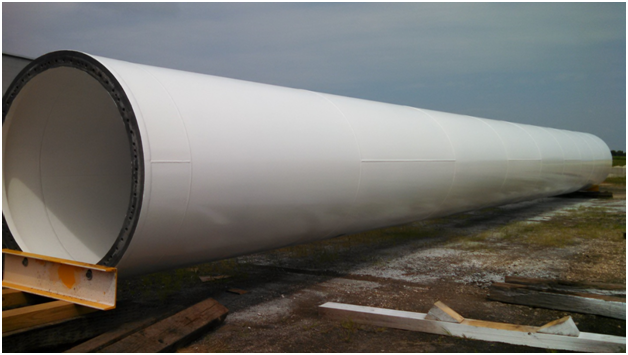 Rockwind uses specialized blade restorers and refinishers to restore the perfect leading edge (including use of erosion control tape) and any blade damage in these huge fiberglass blades (the Micon NM48 600 kw machine for example has blades that are 75 feet long and weigh about 8000 pounds each. 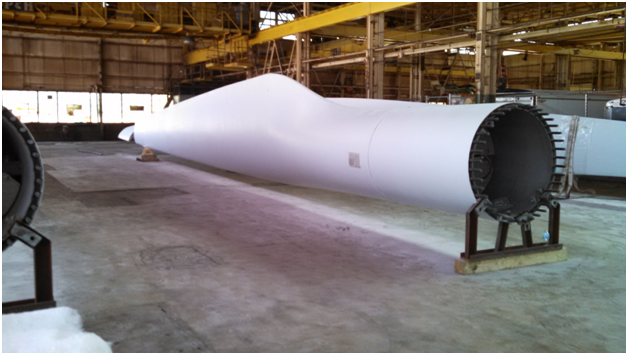 RockWind receives the nacelle at its main Rockford facility and carefully dissembles all of the components in the nacelle. Each component is sent to a subcontractor that specializes in rebuilding that component (e.g. gearbox, generator, brake unit). RockWind works with eh vendors to upgrade the original components within the main components to today’s best materials and processes. For example, the gears in the gearbox are replaced to accommodate the gearbox to the US 60 HZ electrical grid (vs. 50 Hz in Europe). These gears are then “superfinished” to give them operating lifetimes that experiments done for the Department of Defense helicopter research groups have shown to double gear life. Once rebuilt and returned to RockWind all of the components are carefully reassembled and checked at every step in the way. This total process takes over 6 months. 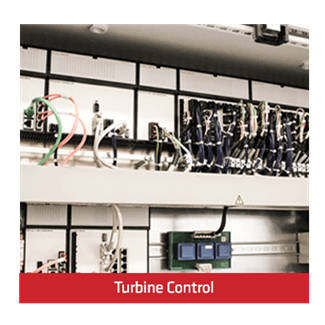 RockWind replaces the original controllers for the turbine and replaces them with state-of-the-art computerized, Internet connected controls designed by the most famous maker of wind turbine controls in the world – Mita Teknik. These controls are designed specifically for this class of wind turbine and come with a 5 year warranty. They allow the wind turbine to operate autonomously while sensing winds, temperatures, electrical grid conditions; but are monitored 24/7 at the control center in Denmark and in fact the turbine can be operated or shut down remotely by the Danish operations Center or by RockWind engineers through their computers or even a smart phone app. Rockwind also installs an advanced condition monitoring system to allow our monitoring services to detect any operating anomalies long before failures and can occur. With the Condition Monitoring System (CMS) , RockWind can perform predictive maintenance on your turbine and avoid unplanned costs. The Condition monitoring solution helps you reduce the overall maintenance costs, while at the same time improve the reliability and availability of your turbine. The RockWind condition monitoring system consists of the remotely operated controller, which is connected to sensors deployed in the wind turbine and communicating with the turbines SCADA (Supervisory Control and Data Acquisition) system, Gateway. Being equipped with a standard set of 6 to 8 accelerometers, strategically mounted on the drive train, the CMS monitors vibrations on drive train components, such as the gearbox, generator, main bearing as well as the tower. One of the advantages of using vibration monitoring, is that it enables us to accurately pinpoint the defected component within e.g. the gearbox. The CMS software visualizes the wind turbine’s mechanical condition and provides immediate notification about detected faults. The CMS is an integrated part of the RockWind SCADA system and is used for complete monitoring and operation of wind turbines. The CMS allows us (or your turbine service vendor) to plan onsite maintenance visits most optimally, making predictive maintenance easier than ever before. An updated predictive maintenance strategy, using state-of-the-art sensors and tests, minimizes unplanned wind turbine outages and maximizes wind turbine energy output and revenue generation.